Stick the toothpick into the center cork to hold the mast and sail up. 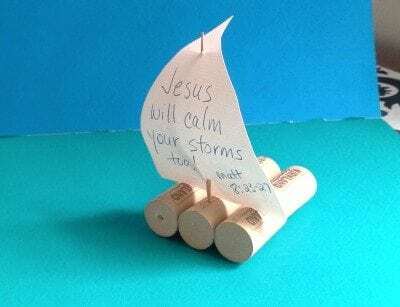 Write directly on the sail or create a tag with the scripture reference of your choice. We also have ready made palanca and agape available on our website for anyone may short on time or is are not the crafty kind. Please check us out at Your Fourth Day Connection you may just find something you like!